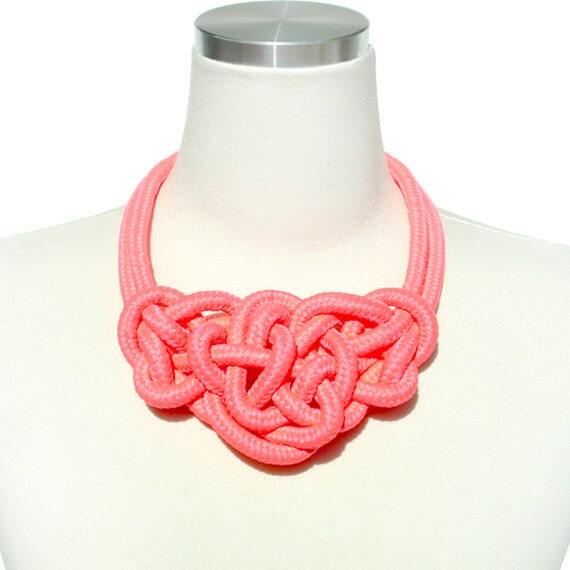 Brighten up your outfit and day with this necklace! 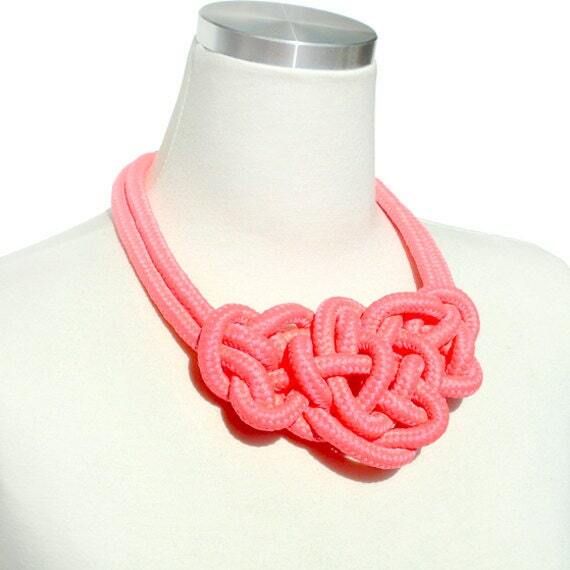 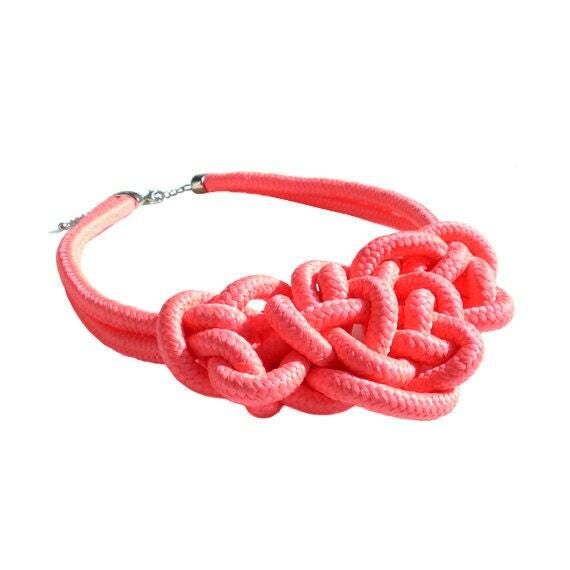 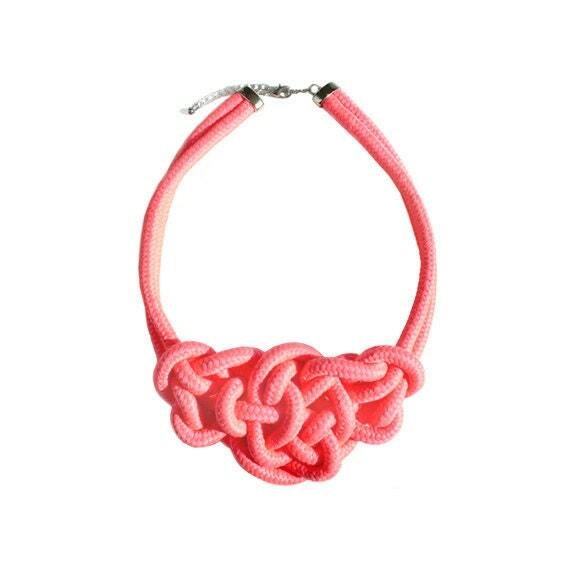 Neon Pink Knotted Rope Chunky Necklace which is bold yet light weight. 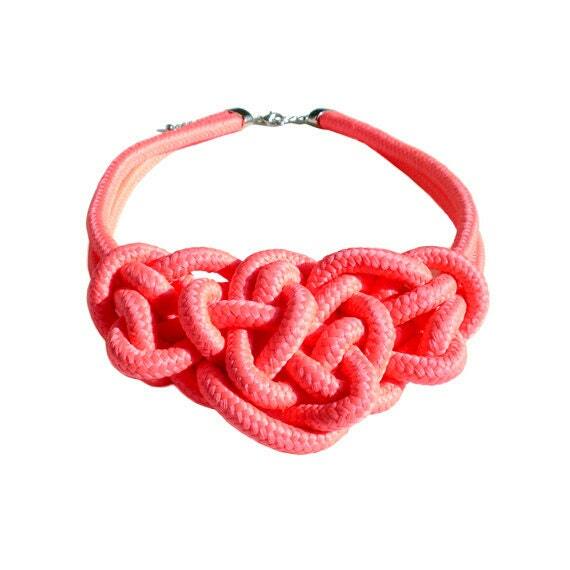 Simply great way to make statement in any outfit.